Marijn Abbink is interested in the musician’s world, from the very first music lessons to preparing for professional performances. She has recently completed the Master of Science in Performance Science programme at the Royal College of Music in London, with Distinction. 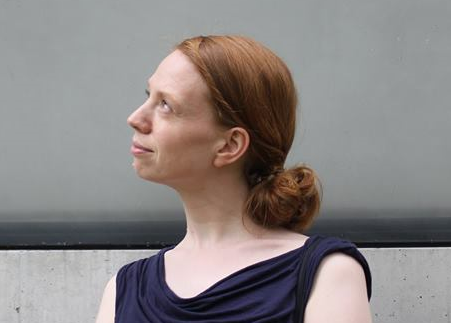 Marijn has completed her undergraduate studies at the Prince Claus Conservatoire in the Netherlands, studying with Edward Witsenburg and Meija Blok. She has also studied at Trinity Laban in London with Imogen Barford and Gabriella Dall’Olio. While having taught at four music schools in the Netherlands, Marijn works as a private teacher in London. She has over twelve years of experience, teaching pupils of all ages and abilities, and is using her newly gained knowledge in regard to performance education and performance psychology to inform her teaching. 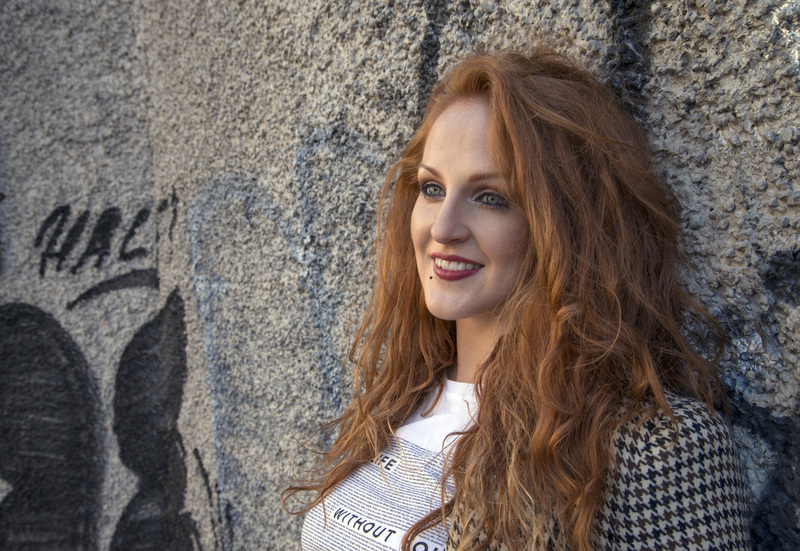 Lisa Canny is a multi-instrumentalist singer/songwriter from Co. Mayo. With 7 All-Ireland titles to her name on harp and banjo, Lisa's roots are firmly in Irish traditional music. Mixed with elements of soul, pop and R&B Lisa’s unique sound has been compared to a wide range of artists from Kate Bush and Sinead O’Connor to Ed Sheeran and Hozier. (The Police, Sting), Julian Emery (McFly, Busted), and George Noriega (Shakira, Ricky Martin). Lisa has toured the US and Canada, France, Germany, Austria, Russia, Italy, the UK & Ireland with supergroups "The Young Irelanders" and "Celtic Crossroads" as lead singer and musician. After graduating with a First Class Honours degree in Irish Music and Dance at University of Limerick in 2010, Lisa went on to achieve a First Class Masters degree in Ethnomusicology at University College Cork. She lectured in music for 3 years at University of Limerick before making the big decision to pack it all in and focus her budding solo career. In September 2012 Lisa went to ASCAP’s songwriting retreat in France. She was invited by Miles Copeland (former manager of The Police) after he saw her perform in L.A. During her time in France Lisa worked with some of the biggest artists, songwriters, and producers in the business including Priscilla Renea Hamilton (Rihanna, Madonna, Selena Gomez, Cheryl Cole), Jodi Marr (Mika, Paloma Faith, Ricky Martin), Hillary Lindsey (Carrie Underwood, Faith Hill, Taylor Swift, Tim McGraw), and Claudia Brant (Barbara Streisand, Josh Groban, Michael Bublé). In August 2014 Lisa signed a publishing deal with London/Nashville company AbFab Music Publishing (ASCAP)/Little Ruth Music (ASCAP) <abfabartists.com>. She recently moved to London to work more closely with producers and writers for her debut album. Eleanor is a recent Music graduate from the University of York, where she studied pedal harp and clarsach with teachers Georgina Wells, Rachel Dent and Eira Lynn Jones. ​Based in Berkshire, Eleanor regularly plays for weddings and events, as well as teaching both privately and in schools around Berkshire and Oxford. In the past, Eleanor has had the pleasure of performing with the London Philharmonic Orchestra, folk singer Cara Dillon and at many folk festivals across the country with musician and composer Luke Daniels. Eleanor’s performance experience also extends to orchestras and chamber ensembles both in Berkshire and at the University of York, most recently joining the London Musical Theatre Orchestra for their ‘play-throughs’. Eleanor has recently been recruited by Oxford-based folk band ‘Moonrakers’, who perform regularly across the South East. 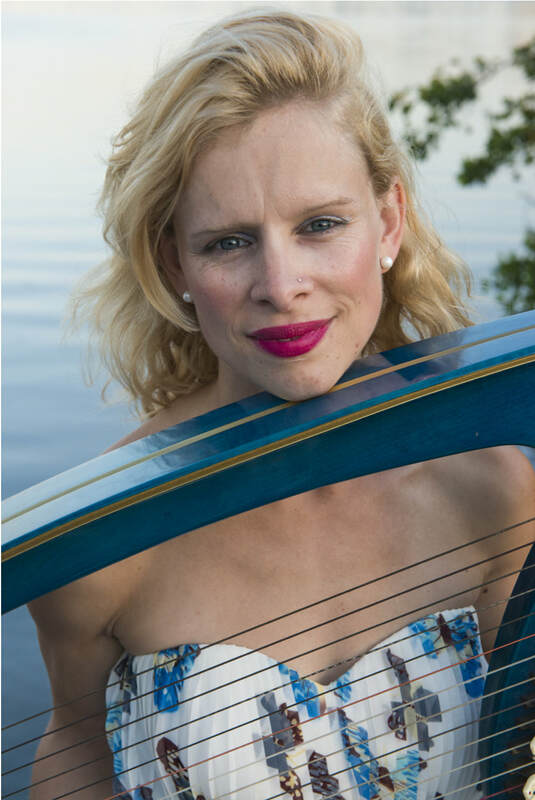 Zanna Evans is a versatile freelance harpist currently based in London. She has performed at a variety of venues including The Royal Albert Hall and Royal Festival Hall. She loves performing and collaborating with other artists and plays a variety of music. Zanna particularly loves latin and jazz which grew through being part of the International Jazz Foundation.She has attended several of their Academies, most recently in Rotterdam, The Netherlands in 2014. Zanna studied at the Federal University in Rio, Brazil in 2013 with Cristina Braga and released her debut album, Dreams Rising in April 2014, a collection of Latin American songs in collaboration with Brazilian artists. She is a founding member of bi monthly Jazz jams across London working with Brenda Dor Groot and Tara Minton. Zanna regularly plays at weddings and functions throughout the UK and is also busy private teaching students who range from 5 years to adult. Ruth Faber studied the harp at the Royal College of Music with Marisa Robles. Since then she has worked with the Royal Philharmonic, London Philharmonic, Philharmonia, London Symphony and BBC Symphony Orchestras, along with the English Chamber Orchestra and London Mozart Players. Regional orchestral work has included Bournemouth Symphony Orchestra, Bournemouth Sinfonietta, BBC National Orchestra of Wales, Welsh Opera and Birmingham Royal Ballet, a post she held before moving to the West Country. Ruth’s busy solo schedule has featured recitals all over the UK and abroad, notably concerts at the Purcell Room, Wigmore Hall and Queen Elizabeth Hall in London. She has played concerti with the English Chamber Orchestra and Bournemouth Sinfonietta. Performances for television have seen her appear for BBC 1 and BBC 2 and also on BBC Radio 3 and BBC Radio 4. Teaching is an important part of Ruth’s life and she currently teaches at Royal Birmingham Conservatoire, Wells Cathedral School, Junior Guildhall, Bristol and Bath Spa Universities. Ruth also holds her own residential childrens’ harp courses each summer. On a lighter note, Ruth has travelled the world playing for British Airways Promotions. ​I began harp lessons with Lynne Creasey aged 8, before gaining a music scholarship to Brentwood School. Aged 15, I was accepted to study at the Junior Royal Academy of Music, studying under Miriam Keogh ARAM. Aged 19, having been awarded places and scholarships to study at numerous conservatoires, I chose to attend the Guildhall School of Music and Drama, London studying under Charlotte Seale and Imogen Barford and subsequently The University of Bristol, where I continued my harp studies with Ruth Faber ARCM. I have undertaken masterclasses with David Watkins, Marisa Robles, Catherine White, Sioned Williams, Maria Luisa Rayan-Forero and Helga Stork to name but a few. I have received orchestral coaching from the London Symphony Orchestra harpists Bryn Lewis and Karen Vaughn and have performed in various notable venues such as the Barbican Hall and Mansion House. 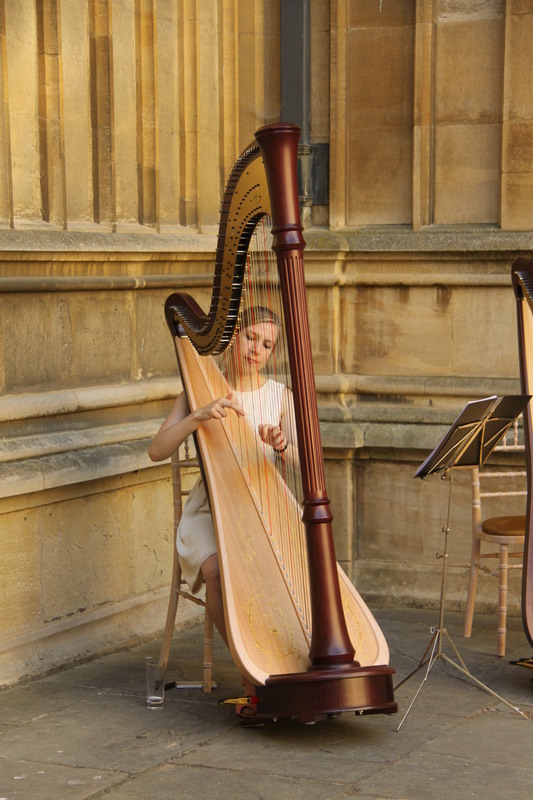 Having studied at both The Guildhall School of Music and The University of Bristol, graduating with first class honours, I enjoy a busy freelance career as a harpist and harp teacher. 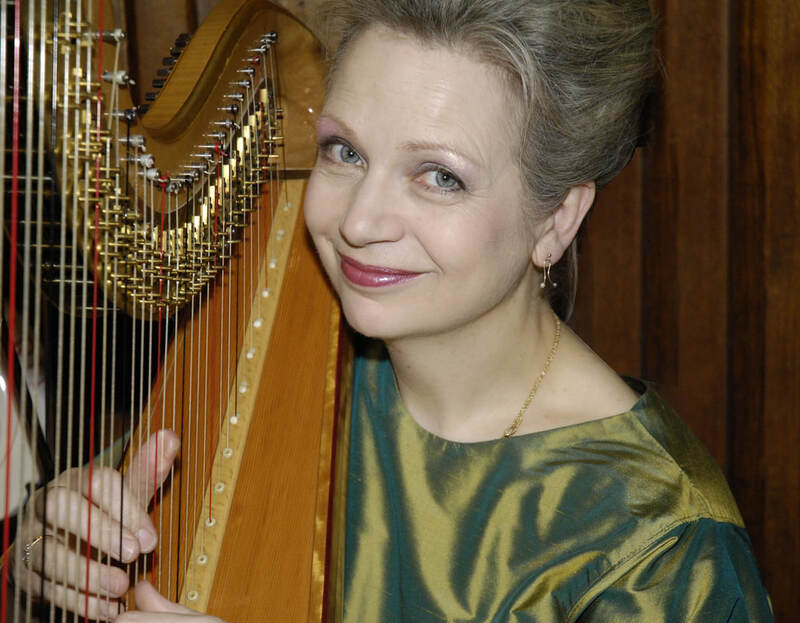 Jane Lister is well known as both a soloist and an orchestral harpist. She has wide experience accompanying choirs and has recorded and broadcast on television and radio with groups as diverse as Westminster Abbey Choir, St. Paul’s Cathedral Choir, St. Alban’s Abbey Choir, Winchester Cathedral Choir ,the B.B.C. Singers, The Sixteen, Finchley Children’s Music Group , the Vienna Boy’s Choir, the Töltzer Boys Choir and others. Jane has also appeared in review, at the Chichester Festival and in the West End, on recordings with the late Ravi Shankar, in “Chants of India “and recorded with George Harrison and his son Dhani. Jane has also accompanied artists including Kiri te Kanawa and Renée Flemming and played under many distinguished conductors including the late Leonard Bernstein in performances of” the Chichester Psalms”. Jane also played in Chichester Cathedral in the Southern Cathedrals Festival performance of this piece. As an orchestral harpist, Jane’s main work has been in the world of opera and ballet. Jane has been the harpist with Glyndebourne Touring Opera, Garsington Opera and Scottish Opera and has frequently been invited to play as guest principal harpist with the Göthenberg Opera in Sweden and with the Royal Opera at Covent Garden. Jane plays with the B.B.C. Concert Orchestra and the B.B.C. National Orchestra of Wales on a freelance basis and has worked with most of the other major orchestras. She has been invited to play with the World Orchestra for Peace since its inception. Jane has wide experience of light music, playing in West End shows, on film soundtracks and in sessions. Jane’s playing has graced many high profile occasions in Royal Palaces, stately homes, fashion shows, art exhibitions and at celebrity weddings! A graduate of Girton College Cambridge, Jane studied the harp firstly with the legendary Sidonie Goossens, then with Françette Bartholomée at the Brussels Conservatoire, where she was awarded the Premier Prix.Jane also has teaching qualifications from the University of London. In addition to playing, Jane teaches in London and Sussex, at Francis Holland School, Roedean School and at Westminster School. She is often chosen to adjudicate at Festivals and has wide experience of students of various standards and ages. Jane is also an examiner. Many of her students have obtained music scholarships and awards. 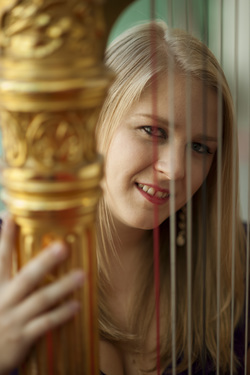 Welsh harpist Gwenllian Llyr is quickly gaining international recognition for her charismatic and engaging performances. 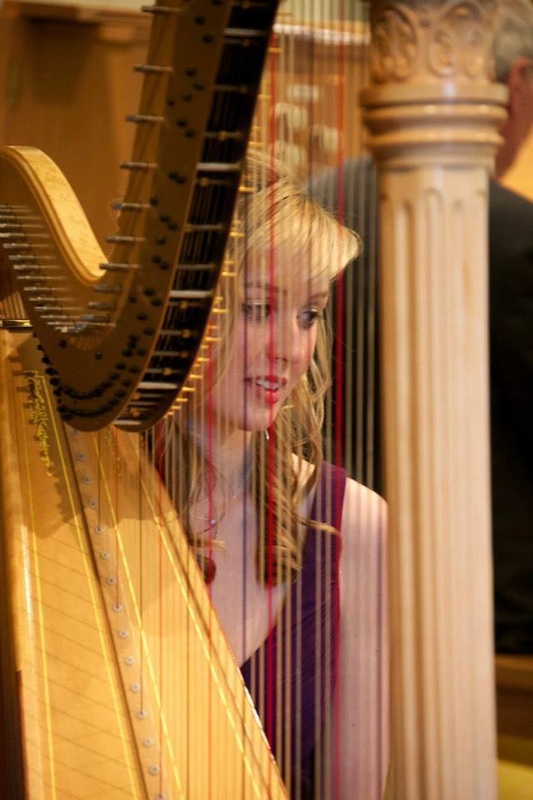 In July 2013, Gwenllian was a prize-winner at the USA International Harp Competition in Bloomington where she was highly praised for her musicianship. She has also won many prizes more locally, including the Blue Ribbon at the Eisteddfod Genedlaethol in Wales in 2012, and the First Prize of the UK Camac Harp Competition in 2010. Gwenllian graduated with First Class Honours from Royal Welsh College of Music and Drama and a Master of Music from The Juilliard School, where she was also awarded the William Schuman prize for outstanding achievement and leadership in music. Her career has taken her across the globe with performances in prestigious venues such as St. David’s Hall, Buckingham Palace, Carnegie Hall and the Royal Albert Hall, and alongside renowned artists such as jazz legend Al Jarreau, actor Mathew Rhys, and international opera singer Bryn Terfel. Gwenllian relishes the chance to display the harp’s versatility, with recent performances including a solo recital at the intimate China Exchange, a programme of contemporary works for flute and harp at the Cardiff Museum, a concerto performance with the Orchestra of St John’s at St John’s Smith Square, and light music for the Royal Academy Gala at Buckingham Palace. 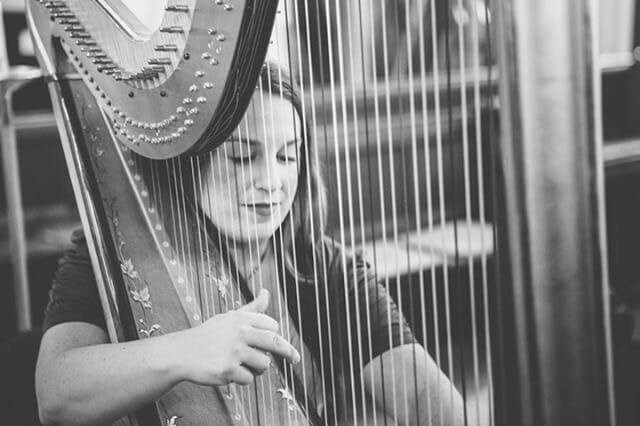 Alongside her blossoming performing career, Gwenllian is a committed teacher, be it as a private harp teacher, a leader of a workshop, a test subject for composers and their new music or in public masterclasses where her tips inspire both the harpist and the audience. She has over a decade of experience teaching students of all levels, abilities and ages, and loves helping her students reach their potential and expand their love of music and the harp. Many of her students have gone on to win prizes and study the harp full-time, and she has a 100% pass rate for exams. Other students have no interest in taking the harp further than their own living room, and Gwenllian’s teaching helps them expand their repertoire, including sharing her own compositions with them. She currently teaches privately in Orpington and North London, as well as for the King’s College of Music and the Latymer Music Centre. Roberta was born in Italy and has been playing harp from when she was 9 years old. She graduated in 2011 from “Conservatorio Paisiello di Taranto “ with Maria Grassi and MA in 2013 in harp solo and 2015 in harp orchestral from “Conservatorio Bonporti di Trento “ with Roberta Alessandrini . In January 2018 discussion thesis for Ma in Orchestra Symphonic from Hogskolan for scene och drama in Goteborg , Sweden with Erik Groenstein-Hendrick. Winner of international Competitions, Roberta has been playing with differents orchestra's and chamber music group's. Roberta is an experienced music education teacher in secondary school; harp teacher in private school and TA SEN in primary school. She had masterclass with Elisabeth Fontain-Binoche, Gabriella Dall’olio, Andreas Mildner; Nabila Chajai; Patrizia Tassini e Nicoletta Sanzin . Available for pedal harp and lever harp lessons, for beginner and advanced levels. Thelma Owen played for many years in the symphony and chamber orchestras of London, before changing to concentrate on teaching. She has many years experience and teaches privately at her home in Finchley, north London, pedal and lever harp. 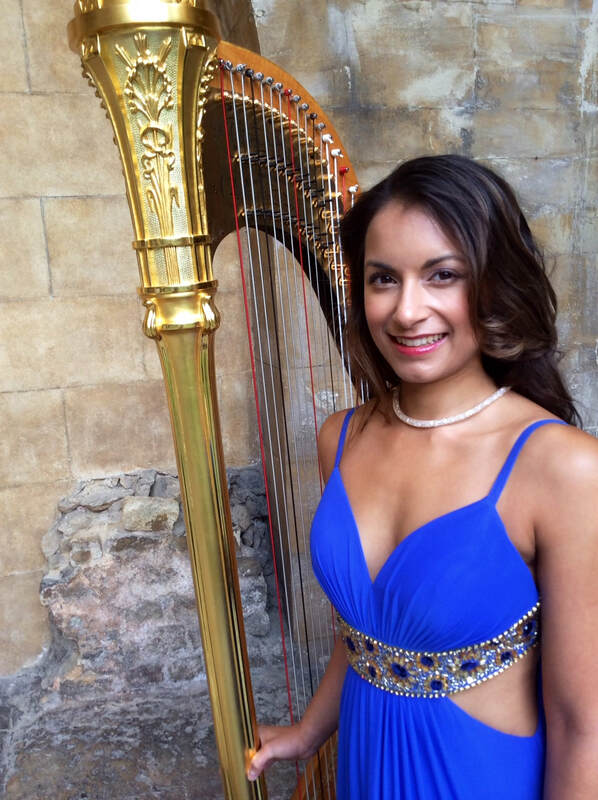 Melissa Adriana Parmar is a popular London-based harpist, having performed for many prestigious clients from Buckingham Palace for the Queen’s Coronation Festival, to Dolce & Gabbana. A versatile musician, her music encompasses Classical, Contemporary through to Bollywood. From solo recitals, weddings to orchestral engagements, she has performed across the UK and worldwide. Melissa completed the Master of Music in Performance course at the Royal College of Music and Hochschule für Musik und Tanz Köln, where she was invited to play for HRH Prince of Wales. Her music has explored different paths as she collaborates with other instrumentalists including the tabla, sitar, violin, flute and Bansuri. Also an active orchestral musician, Melissa is regularly requested to perform with orchestras, under prominent conductors such as Bernard Haitink and Vladimir Jurowski. This has taken her performances to prestigious venues such at the Royal Festival Hall and St. John’s Smith Square. Alexander smashes the stereotypes associated with his instrument, perfect for bringing an edgy and contemporary feel to your event. He travels the UK and Europe performing as part of wedding ceremonies, corporate engagements and charity functions in hotels, stately homes and unusual function spaces. Alexander will tailor his set list to suit the mood of each occasion. He specialises in classical, jazz improvisation and his own interpretations of classic and modern pop tracks, as well as harp showpieces, Broadway, lounge jazz and folk music. Principal harpist of the Young Musicians Symphony Orchestra and resident at the Sherborne (formerly Canford) Summer School of Music, he is a regular at London’s Renaissance St. Pancras and Sheraton Tower hotels and has entertained at The Sanderson, The Gherkin, The Ivy, Soho House, the Ace Hotel and the Four Seasons at Ten Trinity Square. As an orchestral player he has performed in major concert venues and arenas across the UK including the Royal Albert Hall, Liverpool Philharmonic Hall, York Minster, St. John’s Smith Square, Cadogan Hall and Birmingham Barclaycard Arena. In the theatre he has performed in critically acclaimed productions as part of the Brighton Fringe Festival and as a featured musician in Rodgers and Hammerstein’s Carousel at London’s Arcola Theatre. As a soloist he has performed live on BBC Radio several times and elsewhere he has worked with a numerous London-based recording artists. He has taken his harp to pubs, underground recording studios, garden parties, a street festival, a department store, a school for severely disabled children, and countless intimate gig venues. 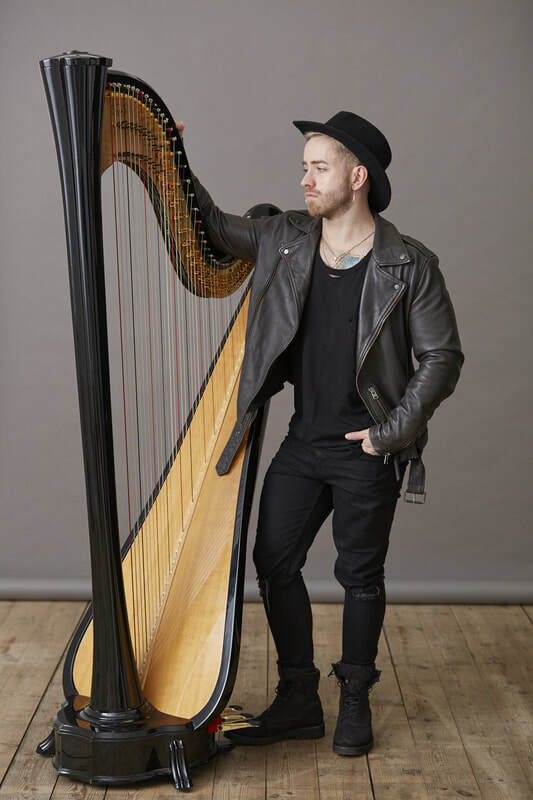 Having studied academic music and composition at the universities of York and Sussex, Alexander continued private harp study with professors of harp from Trinity College of Music, Royal Holloway University of London, Lyon Conservatoire and the Royal College of Music. As described by the New York Concert Review as ‘Stupendous…totally original and engaging’, British harpist Keziah Thomas enjoys a reputation of a lively and engaging concert artist. She has appeared as a soloist in major venues and festivals throughout the world, including a tour of Japan for Aoyama Harps, performances at the 8th, 9th and 10th World Harp Congresses in Geneva, Dublin and Amsterdam and a solo debut at Carnegie Hall in New York in 2010. She is the founder of Retreat to the Harp, gives regular workshops and teaches the harp to all age groups from her home in Shirley, London. We were the first Junior Department of a UK Conservatoire to open its doors to school children on Saturdays in 1906. Since then, thousands of young people have benefited from the opportunities to make music as individuals and in a wide variety of small and large ensembles. From Trinity Teenies aged 3-5 right through to university and conservatoire entrance, it is our aim to encourage a lifelong interest in music and to give our students the opportunities to develop to their maximum potential. 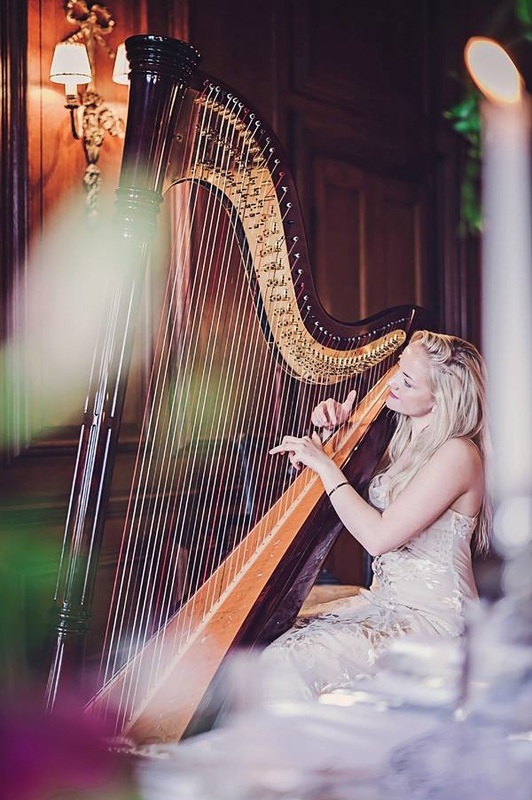 Soraya Vermeulen graduated in 2014 from Trinity Laban Conservatoire, London, with a Masters in Music with Distinction following a BMus First Class Honours Degree in harp performance. Soraya was also awarded a high Distinction in an LTCL Diploma for Music Teaching. 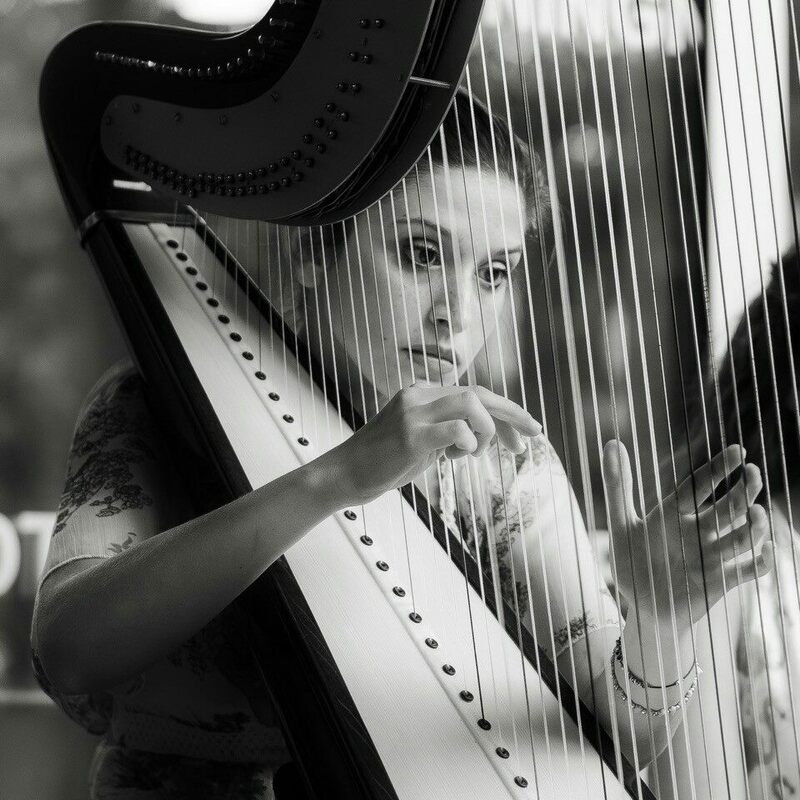 Born in Leicestershire, and previously a music scholar at Oakham School, Soraya has been playing harp since she was 7 years old. She studied under Gabriella Dall’Olio, and studied early music on the triple harp with Frances Kelly. Soraya gained a Leverhulme Arts Scholarship to continue her studies on a Masters of Music Performance course, and was awarded a Musicians Benevolent Fund Postgraduate Performance Award. Alongside these prestigious awards Soraya was also presented with a Penske Automotive Scholarship and City Livery Club Prize for Excellence. Soraya has won many prizes for her playing in festivals and competitions, including Leicester Young Performer of the Year aged just 13 and the John Marson Harp Prize, (for an outstanding and creative musician), in 2012, leading to a solo recital at St Martin-in-the-Fields, London. During these years she has also participated in many masterclasses with such eminent harpists as Fabrice Pierre, Sylvain Blassel, Letitzia Belmondo and Elizabeth Fontan-Binoche. Soraya had her concerto debut at St John’s, Smith Square, London, at the age of 15, and has travelled widely with her harp, playing both solo and orchestral works in Spain, Belgium, France and Portugal. She has played in many prestigious venues in the UK including The Royal Albert Hall, London Barbican, Cardiff Millennium Centre, Birmingham Symphony Hall and Festival Hall at London’s South Bank. Regularly invited to play for dignitaries, Soraya has performed for members of the Royal family, including Her Majesty the Queen, The Duke of Edinburgh and also for Lord Lieutenants. She has worked closely with composer Amir Sadeghi, with whom she has recorded a world premiere with the Marson Harp Trio for BBC Television, and also regularly plays as part of a flute & harp duo with Katherine Birtles (Fantasia Duo), a clarinet & harp duo with Christopher Hatton (Clarity Duo) and with Soprano, Erika Wooding (Duo Incanto). Also a highly popular performer at weddings and corporate events Soraya has played for many prestigious clients, including new launches of BMW and for many recordings such as “Frank Benbini” from the Fun Lovin’ Criminals and Stompy’s Playground. Not only does Soraya have a very busy performing career but she also has a great passion for teaching, with a very busy private teaching studio. 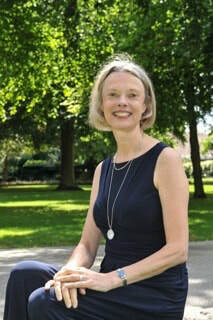 She is the harp teacher for The Pointer Preparatory School, London, Loughborough Endowed Schools, Oakham School, Southwell Minster and Northamptonshire Music Service. Soraya is grateful to be supported by the Sir Andrew Martin Trust, The Gordon Robinson Memorial Trust, The Norman Gill Trust and The Dorothy Johnson Trust. Rachel Wick is a graduate of St. Peter’s College, Oxford and the Royal Academy of Music. As an orchestral player she has performed with many of the UKs leading ensembles, including the Royal Philharmonic Orchestra, BBC Concert Orchestra, Bournemouth Symphony Orchestra, London Concert Orchestra, English Session Orchestra, City of London Sinfonia, as well as with orchestras further afield including the European Union Youth Orchestra, Symphony Orchestra of India and Norwegian Opera. She has recorded with New College and Christ Church Cathedral Choirs, Oxford and has broadcast live on Classic FM with Her Majesty’s Choir of the Chapel Royal, St James’s Palace, and appears on Howard Goodall’s album Inspired. 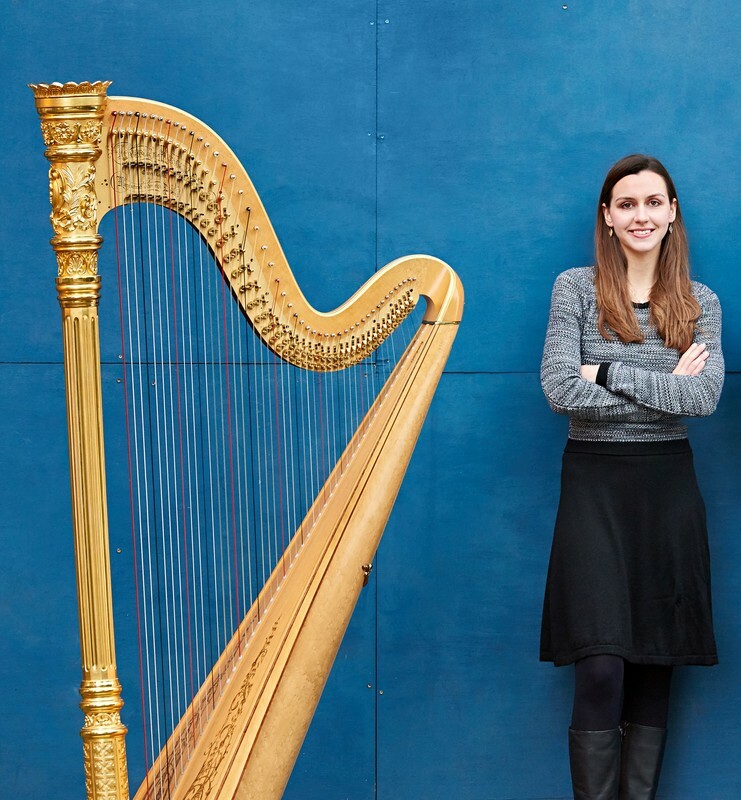 Alongside a large private teaching practice, Rachel teaches harp at Berkhamsted School and the Junior Department of the Royal Academy of Music, and coaches for the National Children’s Orchestra. She regularly gives kids' concerts, including for ‘Bach to Baby’ and 'Concertini', and with her flute duo partner, Thomas Hancox, she works for the charities ‘Live Music Now’ and CAVATINA Chamber Music Trust giving outreach concerts. She appears miming in an orchestra for the latest Mission Impossible film, and was filmed for Google’s ‘Inside Abbey Road’ virtual online tour.